Ok so in the photo the crease shade looks kind of grey? But it’s more of a khaki green. I haven’t done an eye make up look for such a long time and as I have most of this week off I though I may as well use the time! 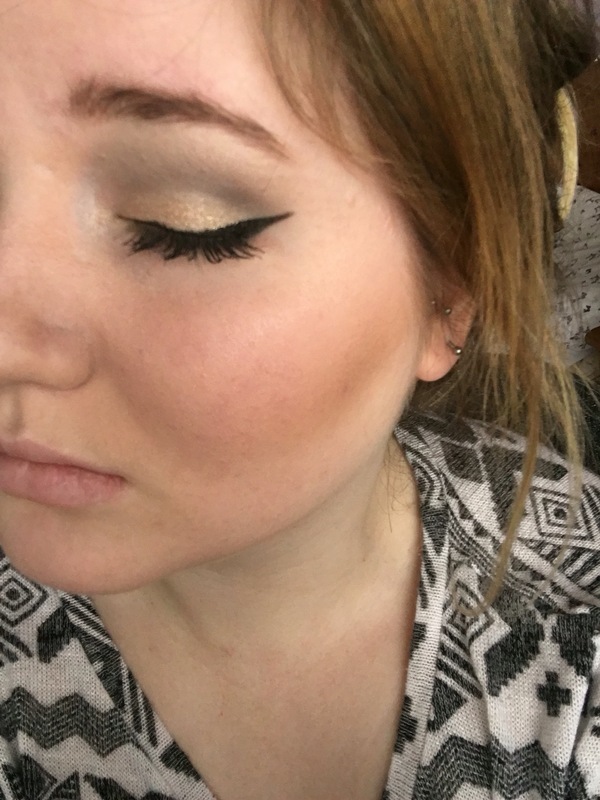 On the lids I used Benefit cream shadow Bikini Tini and topped it with Urban Decay Halfbaked. 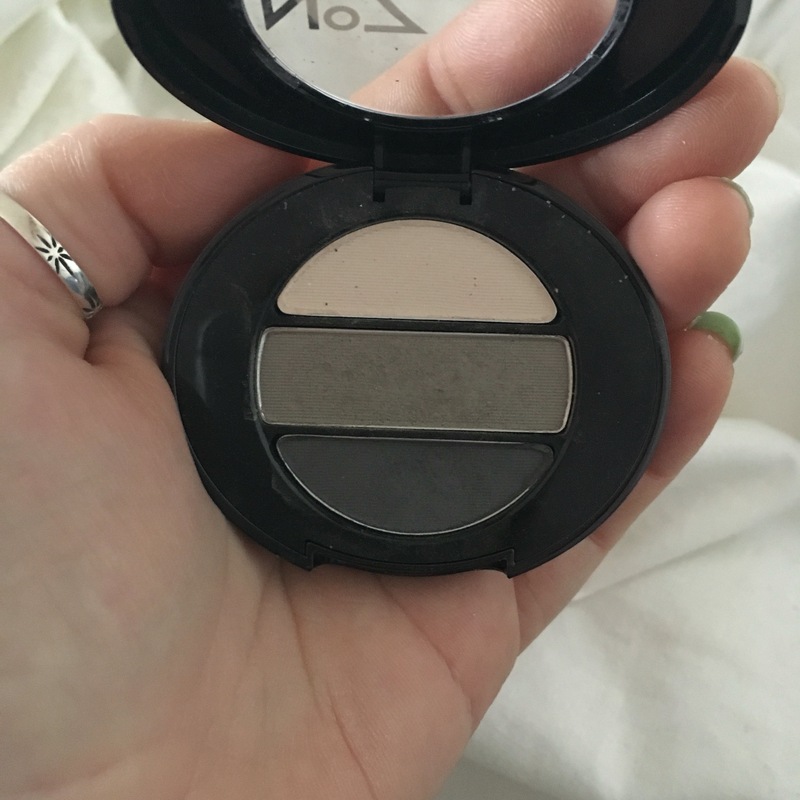 I love layering a powder shadow over cream, it intensifies the colour and keeps it in place for longer. I lined my eyes with a felt black liner…I think mine is from Maybelline? And primed my lashes (top only!) with my trusty Dior primer and then layered both my top and bottom lashes with my YSL volume mascara. Oh my brow highlight is MUA champagne and I just used Benefits gummies brow in medium/dark on my brows as I was too lazy to do them properly so excuse the untidy mess! Apologies for my messy hair, I did this as soon as I got out of bed! Does anyone have any requests? I would love to try something new! Thanks for reading!